In nationwide referendum the Turkish population has voted for a change in the country’s constitution. It will give the president more power and reduce the influence of parliament. 51.3% of the voters said “Yes” to a change , while the “No” side received 48.7%. For months, the population has been divided on the issue. The new constitution is the biggest change in the structure of Turkey since it was founded in the early 20th century. The referendum was a victory for Turkish President Recip Erdogan, who, together with his ruling AKP Party , called the country’s people to expand presidential powers. Erdogan became Turkey’s president in 2014 after being Prime Minster for over a decade. In the last few years he gained more and more power, especially after the attempted coup last summer. With the new constitution in place Erdogan could stay president until 2029. Recip Erdogan insists that the new constitution will make Turkey more modern and easier to govern. 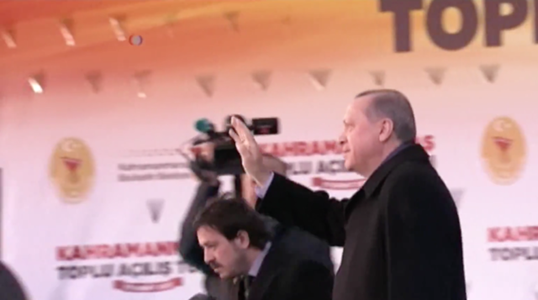 Opponents of Erdogan claim that the change will make the president too powerful and will turn the country into a dictatorship ruled by one person. They say that, in future, the president cannot be controlled or supervised by parliament or the courts. In Turkey’s new constitution the president will have wide-ranging powers. He will not only be able to appoint his own minsters and choose the vice president, but also have the power to dissolve parliament and declare a state of emergency. He will also be able to appoint judges to the highest court, similar to the American President. The European Union has been highly critical of the referendum and stated that a change towards more presidential power will not help Turkey become a member of the EU. It is afraid that, once Erdogan has more power, the country will disregard human rights and introduce the death penalty.